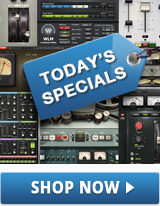 I like sending lead vocals, acoustic guitars and pianos to the following chain. 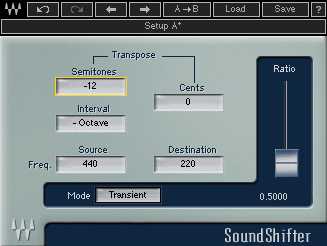 Pull up Waves SoundShifter and lower the pitch by one octave. 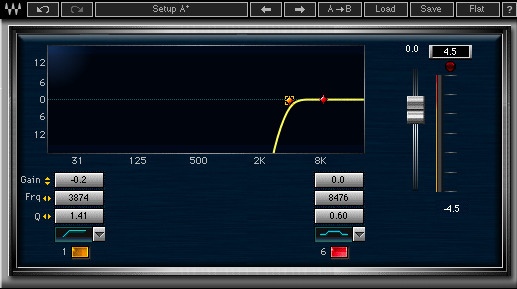 Send the track to the Renaissance Equalizer’s high pass filter at 4K (but experiment with the precise filter threshold!) 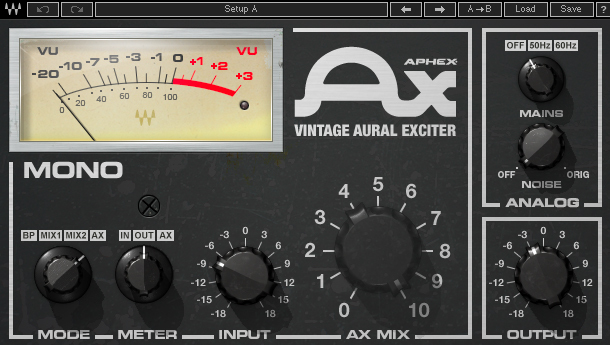 Then send the filter’s output directly to the Aphex Vintage Aural Exciter. Set Aphex to AX Mode (with Mix on 10). 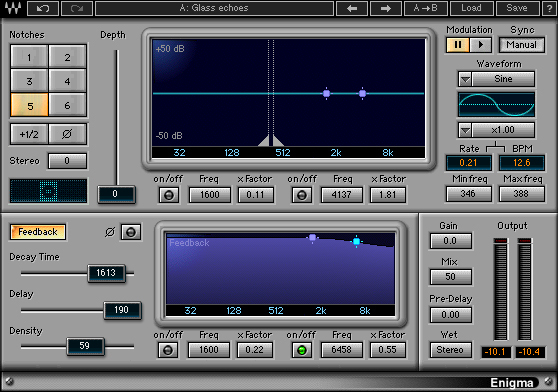 Start with the input around -9, and move higher to get more harmonics. I sometimes also put an Enigma set to GLASS ECHOS last in chain. Use this chain on an aux and send to it like you would to any other effect; or think of it as a parallel chain.